I volunteered teaching English in the town of Nablus in the Palestinian West Bank over three years ago. Though I didn’t stay there, the place has definitely stayed with me. In the weeks following my departure, I wrote articles and blogs for the web, talked incessantly to friends and family, and even tried to organize a talk at my mother’s apartment complex. I was ferocious, still fresh with the pain. When I’d asked my students what they’d want me to do to help, they’d all requested that I tell the world. I wanted to honor their requests. But, my resolve began to wane. Articles weren’t readily snapped up. Friends and family were a wash, some truly showing interests while others searched for unfounded justifications. 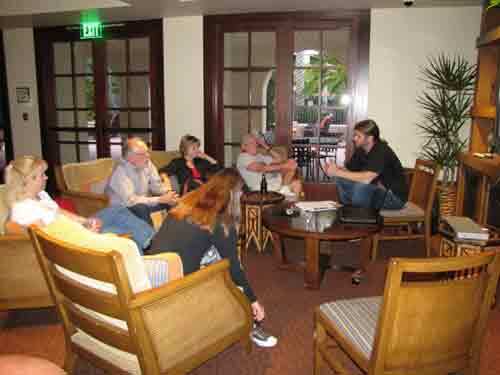 Despite the fact that my mother had reached out to her closest friends to be an audience, the talk only attracted five people, two of which were my parents. No one seemed to care when missiles weren’t flying in all directions. No one was outraged. It was probably the exact reason and precise time my students had wanted me to tell their story. I felt that I’d let them down. In the months and years that have passed, I’ve watched from afar, wincing at the suffering of the friends I’d left behind. I did my duty on Facebook, sharing articles, passing on information, and signing petitions. I readily involved myself in conversations about Palestine in hostels and bars, exhausting my experience as a explanation of the situation. 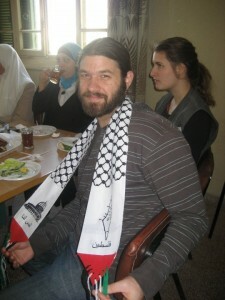 Every now and again, to a lesser degree now, I exchanged messages with former Palestinian students and colleagues. I settled comfortably into being passively active. I’m sorry it has taken the ongoing horrors in Gaza to jar me awake, but the recent unrest has reinvigorated my resolution. And, I hope this article finds you in a similar spot: Unwilling to let this news fall into the listlessness that has surrounded the Palestinian plight for the last 65 years. This is not an unbiased account but rather one I acquired in my time there. Supposedly, a time of peace. In 2009-10, I volunteered for a grassroots organization called Project Hope. 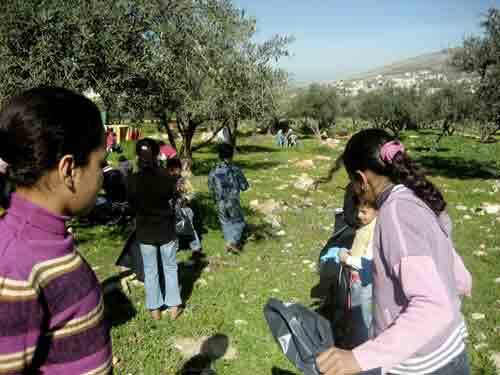 The organization works in the city of Nablus and several refugee camps within it, providing education and recreation for children of the community, as well as English classes for adults. During the interview, I was warned about trouble getting through Israeli immigration (many people don’t realize you can’t reach Palestine without going through Israel), that I’d have to lie about my intentions to teach poor Palestinian children English or I’d be denied entry. At the airport, I denied knowing any Muslims, though I’d been living in Turkey for the previous ten months. I answered no when asked if I was going to the West Bank. As a bit of a square, not accustomed to lying to authorities, it felt like I was doing something so wrong. As a traveler, I’d never been so suspect: I’d already been “randomly” searched—most of my fellow passengers were Hasidic—by El Al Israel Airline, questioned at the ticket counter by immigration, and grilled by a soldier at Ben Gurion. The advice was spot on. In my short time with the organization, two teachers were denied entry into the country, one completely new volunteer turned around at the airport. Another volunteer, who’d already spent three months in Nablus, was stopped at the Jordanian border upon trying to re-enter. She was given the dreaded red stamp, citing she could not return for ten years. The other volunteers had to mail all her stuff to her. Luckily for me, at that time, the process of getting there was far more terrifying than actually being in Nablus. The most intimidating part of the West Bank was traveling. It seems for every town and village, there are IDF checkpoints (Israeli Defense Forces—Palestine is under Israeli control thus has no military) restricting movement within the West Bank. At any point, a soldier can pull you out for questioning, and though you’re simply moving from one city to the next, sans illegal activity, you may never make it. For me, it was a fear of deportation and high stakes questioning; for my students, it could end up as serious interrogation and prison time. The man from whom I rented an apartment disappeared after my first couple of days there. Finally, out of curiosity, I asked the project director what had happened to him. He’d been imprisoned. No one knew exactly why. It was so matter-of-fact that no one had even thought to tell me. When times were the worse in Nablus, during the Second Intafada (Palestinian Uprising), all roads in an out of the city were cut off. To get to the neighboring village of Sebastia, about 12 kilometers away, people would have to walk or ride donkeys over the mountains. The city center was decimated and has remained barren since. Curfews, where IDF trucks would patrol the city, were enacted (and remained even during my time there). 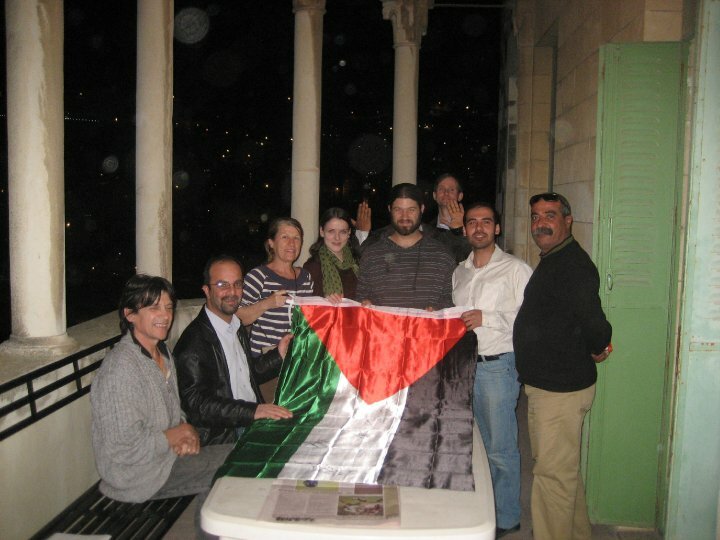 As a volunteer and tourist, it was leaving Nablus that was the scariest. Even so, I did. I visited the Roman ruins of Sebastia. 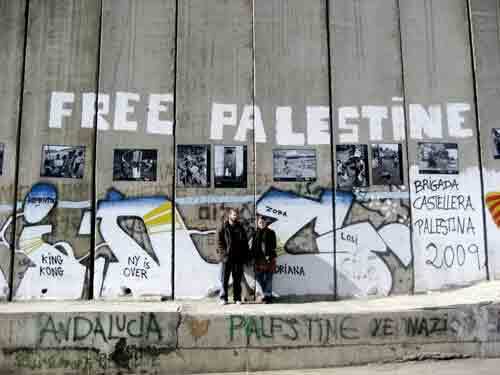 I visited the political capital of Ramallah, just inside “The Security Wall” that separates Israel and the West Bank. During Christmas, I traveled to the other side of the West Bank to celebrate in Bethlehem then visited Jericho en route back. At each checkpoint, a collective groan filled the passenger vans with errant worries escaping as everyone fumbled for passports. No one was ever detained from a car I was in. When talking to my students about the checkpoints one day, a student recounted his worst experience at one. He and a line of other Palestinians were forced to stand for hours in the rain while soldiers checked their ids, only to be turned back. They were traveling within their own borders. Other stories resulted in hours of interrogation and incarceration. Everyone had a story. The scariest moment for me was when I was reentering Israel at the checkpoint between Ramallah and Jerusalem. This checkpoint is more like a border crossing, where people get out and walk through with all of their things. There was no way to deny I’d been in the West Bank. I wasn’t sure how to go about staying out of trouble. I collaborated a story with my girlfriend, so we would say the same thing under questioning. Our bags were filled with Palestine-themed trinkets and memorabilia from our students. There was no acceptable explanation. Then, as we’d cleared the turnstile, two teenaged soldiers smiled and waved us through. Not a word exchanged. It was incredible moment, realizing the power from the air of intimidation created by the omni-present IDF. The fact that people—Dutch, Canadian, American, British, whoever—were deported for doing nothing, that people were questioned for hours and held with no real cause, that the IDF patrolled the streets at night—it had me shaking the whole time I was there. Upon leaving, I wasn’t even sure there had been reason. Then, I remembered still needing to get back through Ben Gurion, a feat just as intimidating, before being out of the country. 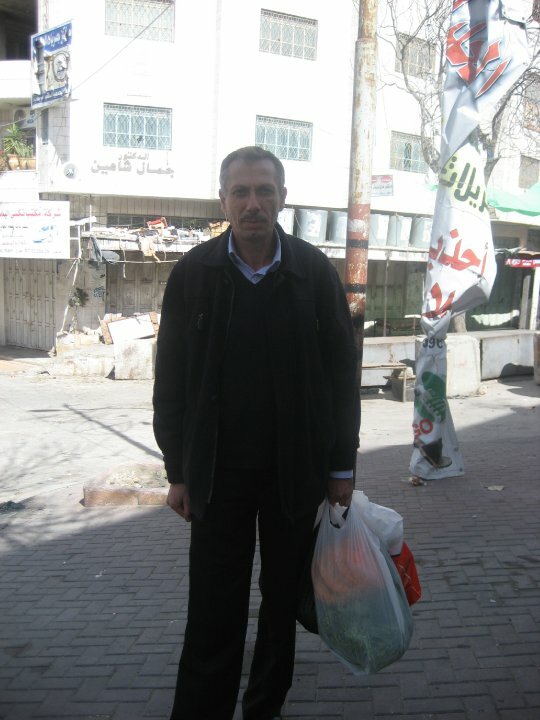 Life in Nablus, then, was surprisingly pleasant. Apart from the occasional F-14 flying too low and creating a sonic boom through the city, days were peaceful. There was a fruit market with a variety of fresh produce. There were falafel stands and coffee shops where patrons sipped tiny cups of strong Arabic brew while puffing on hookahs. Sweetshops selling kunafa, Nablus’s signature dessert, were every other block. It took little to no time to be recognized as I wandered the streets. Students would insist on feeding me tea after bread after oranges and whatever else they had. Strangers would invite me into their shops for free samples. I became a regular in certain restaurants, where my chopped up Arabic would be patiently deciphered and my order brought out correctly. In fact, hospitality was so rampant that one of my classroom aides taught me how to plan routes to avoid having to stop in for tea every time I walked somewhere. There was one sweetshop on the main drag. The owner had pulled me in the first day I’d arrived in Nablus, insisted that I rest and have some complimentary baklava and tea while he practiced his English. He told me I could pay next time. He did the same over the next two months, never charging me anything. The problem became that I couldn’t pass without stopping and he was on my route to the market. Eventually, I had to start going the long way round just so I could get things done in a timely fashion. My classes, varying from co-ed grade-schoolers to a woman’s group to medical professionals, were all kind and forthright, as curious about me as I was them. They taught me about their culture. They shared food. They told jokes. The women wore hijabs, and I even had one student in a full burka, whose face I accidently saw when I enter the room too quickly one morning. They invited me to their homes. One student, with Samaritan friends (Samaritans still live and work harmoniously in Nablus, as they have for thousands of years), offered to get me some scotch. Still, whatever pleasantries exist within this sort of Palestinian existence, there is no getting around what’s around them. Despite organizational regulations against discussing religion and politics, discussions in and out of the classroom always found their way to the occupation. And, I came to realize, when your entire life—from the time you must go home at night to visiting family less than a few miles away—is plagued with military occupation, it’s hard not to bring it up. There remain two states of living that really exemplify the heart of the conflict nowadays. In the West Bank alone, some 19 refugee camps, from the original conflict in the late 1940s, are still lived in by 750,000 Palestinians awaiting the freedom to go “home”. The camps, meant to be temporary dwellings, have long outlived their purpose and house the longest standing refugees in the world today. On the other side, Israeli settlements, deemed unlawful by the International Court of Justice in 2004, number around 124 with a population of about 350,000. In other words, legally speaking, people are moving in the wrong direction. Throughout and around Nablus, there are refugee camps—Ein Beit al-Ma, Balata, and Askwar—in which people (but mostly descendants of people who’ve long since passed away) refuse to put roots. The fear is that once the camp becomes a real place to live then all hope of returning is lost. So, it has created overpopulated spaces with serious poverty problems and too little resources. Nonetheless, these are places where people are compelled to stay to insure their plight won’t be forgotten. 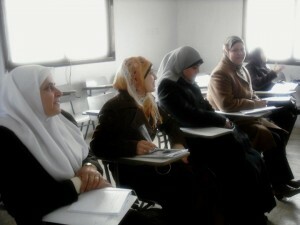 In Nablus, I taught in two of the three camps. 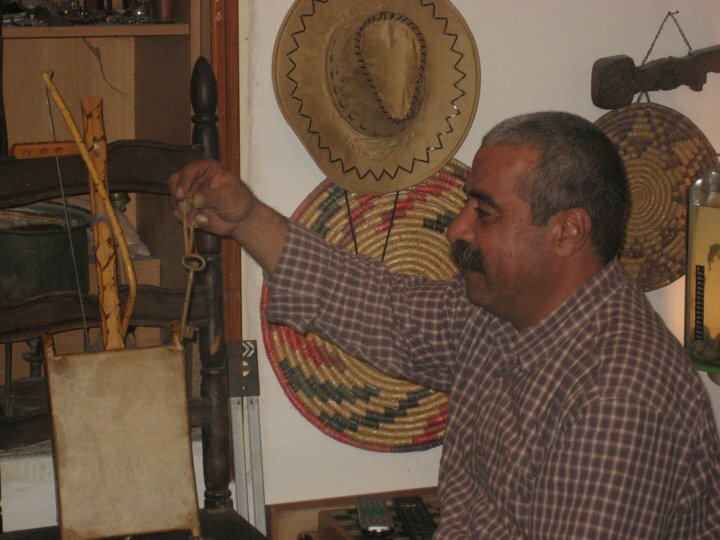 In my time in Palestine, I heard often of keys that people had kept to their homes from when Palestine was annexed. The stories always sounded fantastical to me, almost like propaganda, until one day I visited a friend’s house. Akil was in his 50s or 60s, a stout man whose father had moved out of the camps early on to restart a life. He’d been very successful. Still, a little ways into our visit, Akil grabbed the keys dangling from his mantle. 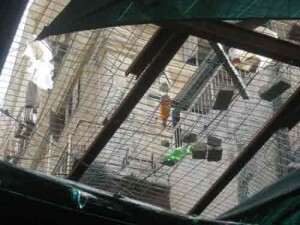 They were to his deceased father’s house in Jaffa, where the family had lived for decades. From the refugee camps, it’s often possible to see Israeli settlements, sometimes two or three. They are recognized due to distinctive red roofs, and most of them are located on hilltops with serious fencing to contend with. Israelis or migrating people of Jewish (many from the USA) descent who populate the settlements receive tax breaks and incentives from the government. Since the 1993 Oslo Peace Accords halting the construction of all settlements, the population has more than tripled and the space has grown to accommodate that increase. Most of the time when trouble stirs in the West Bank, it can be linked back to conflicts with settlers. The two populations are kept completely separated by the IDF; however, settlers have the reputation for entering Palestinian land. (Palestinians would have no chance of getting into the heavily guarded settlements.) In my time, such a conflict arose in Nablus. A settler had come into the city and been killed. The next night the IDF raided four houses and shot two suspects dead in front of their families on the street parallel to the one I lived on. One of the stories that most resonated with me was one regarding a garden in a refugee camp. We spent an afternoon cleaning it up with the kids of the neighborhood. In the distance, there was a settlement on a hilltop. As we stood in the field looking at it, our guide told us how two people in that very garden had been shot by someone with a long-range rifle from that camp. It was probably the only moment in the three months I feared for my life. When I did finish my time in Palestine, just under three months, I spent a week or so traveling around Israel. I stayed in Jerusalem for several days, wondering the alleyways of the Old City. I took a tour of East Jerusalem with an organization called ICAHD (Israeli Committee Against Housing Demolition) and learned how Palestinian neighborhoods were being destroyed. I went north to Haifa and Akko and east to Nazareth and the Sea of Galilee, which is drying up despite the massive water restrictions put on the West Bank—something that gave me a two-shower a week habit—but not the settlements. Everywhere I looked I saw injustice. 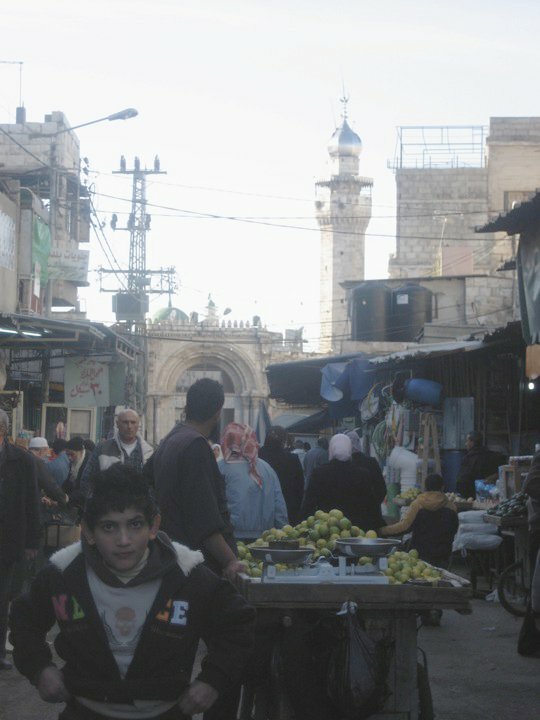 I went to the West Bank one more time: I visited Hebron, the location of the Ibrahimi Mosque massacre by Baruch Goldstein, a US-born Israeli soldier. It is the only city in which settlers and Palestinians live in close quarters. The settlers lived in homes above the old market street, and from their balconies they shouted at our tour group and tossed rocks and bottles down on the chain link put up to protect pedestrians. While we were there, a Palestinian politician had come, and the settlers were up in arms. Soon, soldiers were on rooftops firing tear gas at crowds of Palestinians, and we were being led to safety as quickly as possible. And, it was that safety that cleared a lot of things for me. I’d enjoyed living in Nablus, and despite the annoyance here and there, life had been beyond tolerable. But, I got to leave when I was ready. The worse that would happen to me was a few hours, maybe days of questions, and I’d be sent home with a red stamp. My friends in Palestine weren’t afforded such a luxury. The freedom to move to safety wasn’t there for them, nor was the freedom to feel at home. The best they could hope for was that their entire reality to change, and that was a tall order for a people with no military, no country of their own, and no voice in the world. Someone else has to tell their story for them.